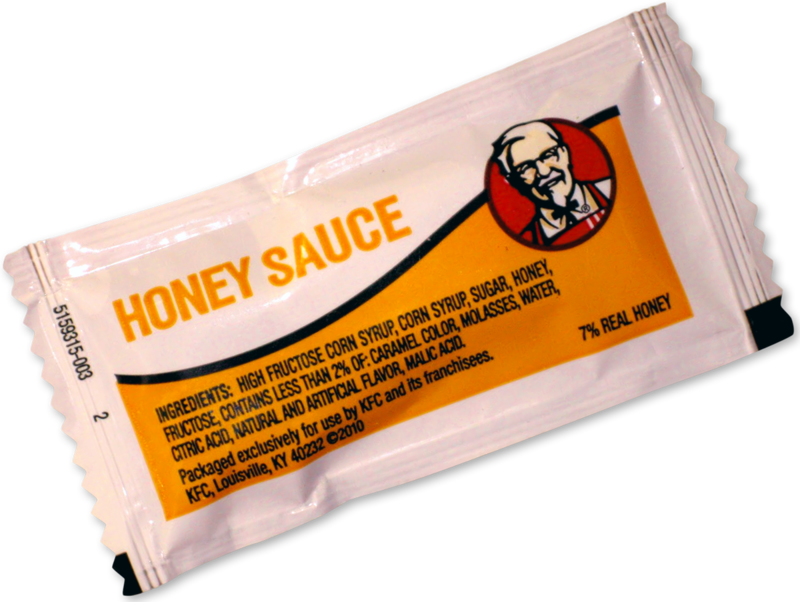 KFC Honey Sauce: Now with 7% real honey. Woot! Branding is not an exact science. In fact, is much more of an art. The most successful brands, like Apple and Starbucks, rely on emotions, rather than rational thinking. And like a personal reputation, consumers’ love of a brand is easily damaged. Some short-term damage is inevitable now and then, but over the long term, popular brands can fall apart. This is an effect I call “brand decay”. Like tooth decay, it’s preventable. The most common causes of brand decay comes from cutting costs. Now cutting costs isn’t always a bad thing; in fact, it’s an important part of running a business. But you can certainly cut costs so much that it hurts the reputation of your brand. This is akin to “death by a thousand paper cuts”. You make a cut here or there without too much harm, but over any years, it starts to add up. My favorite example of “Bean Counting” Brand Decay is the “honey sauce” packets from KFC. Somewhere in the company, someone sat down with a spreadsheet and realized that the company could save x number of dollars by switching to honey-flavored high fructose corn syrup. If this was the only change they made, it might be okay. But the honey sauce problem is just a symptom of a much larger disease. In all likelihood, every other ingredient has gone through the same spreadsheet. I don’t know what Colonel Sanders’ original fried chicken tasted like, but I doubt it was anything like the stuff they serve at KFC nowadays. Brand decay occurs when the people in charge of the company get so focused on cutting costs that they fail to invest in the long term health of the brand. If you have any kind of passion for your business, don’t let brand decay happen to your company.